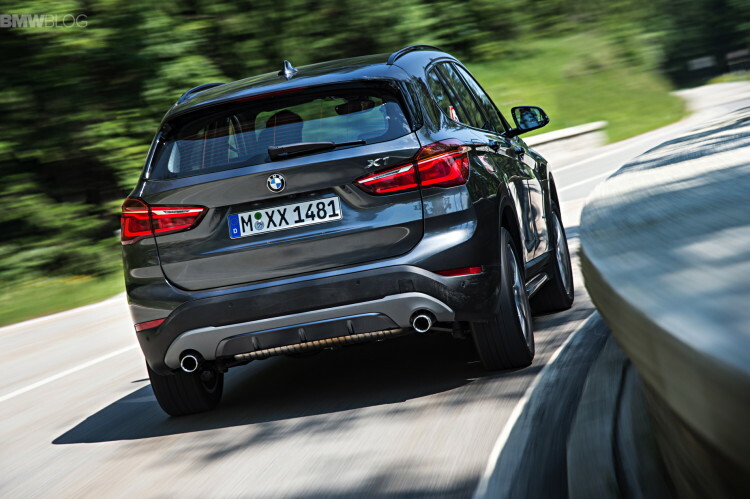 In BMW the end of the line for the purist rear (or all)-wheel drive only first came with the Active Tourer and now with the new 2016 BMW X1, which uses the same platform and wheelbase of the minivan. More space, more SUV design and less of a tall station wagon look, better overall quality but less sharp road handling help defining the Audi Q3 and Mercedes GLA new rival. Not even Premium manufacturers can make it today without leveraging as much as possible the industrial synergies between vehicles from different brands. BMW sacrificed what up until recently was sacred in the Bavarian brand (rear-wheel drive), in order to be able to save resources with common technical solutions between MINI and BMW cars: that is why they started to share platforms, engines and transmissions, with front wheel drive designs. This is where you begin to distinguish the new X1 – front or all wheel driven – when compared to its predecessor model that was launched in 2009 and which sold 730,000 units to date. 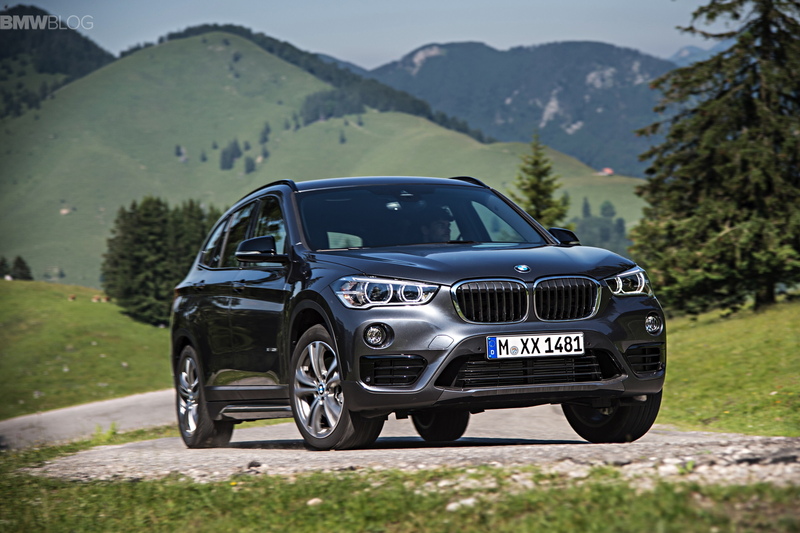 At a first glance it is clear BMW wanted to inject more of an SUV character into the X1, which in some angles looked like a tall station wagon. 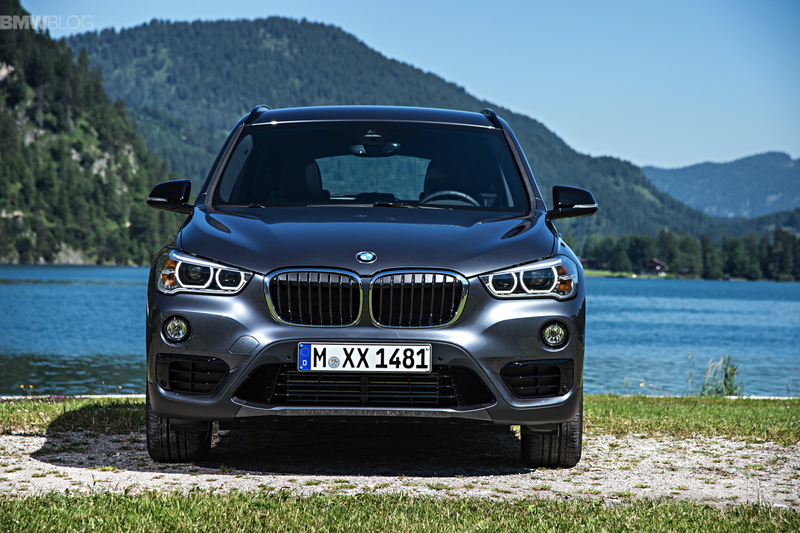 Not surprisingly, the silhouette of the 2016 X1 is now taller (by 5.3 cm), wider (2.3 cm) and slightly more compact (1.5 cm) but the striking dimension change is found on the wheelbase which has been shortened by no less than (9 cm). At the same time ground clearance also increased from 179 to 183 mm. 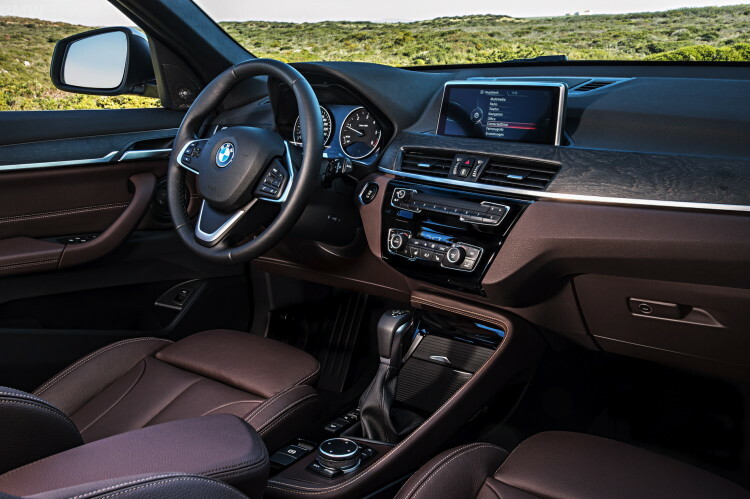 The unusual shrinking of the wheelbase was no obstacle to an increase of cabin legroom for passengers in the rear seats, thanks to the new engine mounting position under the hood. It is no installed transversely (as usual in front wheel drive cars), stealing less cabin space than if it had a longitudinal installation (usual in rear-wheel drive cars). The rear seat passengers also enjoy added headroom, despite the fact that their seats were risen by 5.3 cm (3.6 cm in the front) to clear their views to the exterior by generating the amphitheater effect so appreciated for those sitting behind. Depending on the version, these seats can be fixed or move 13 cm back and forth along floor rails and thus increase either legroom or luggage capacity which, incidentally, is 85 liters greater than before (total of 505 liters). In addition, the back of the rear seats may fold in a 40:20:40 partition and optionally their inclination is also adjustable. 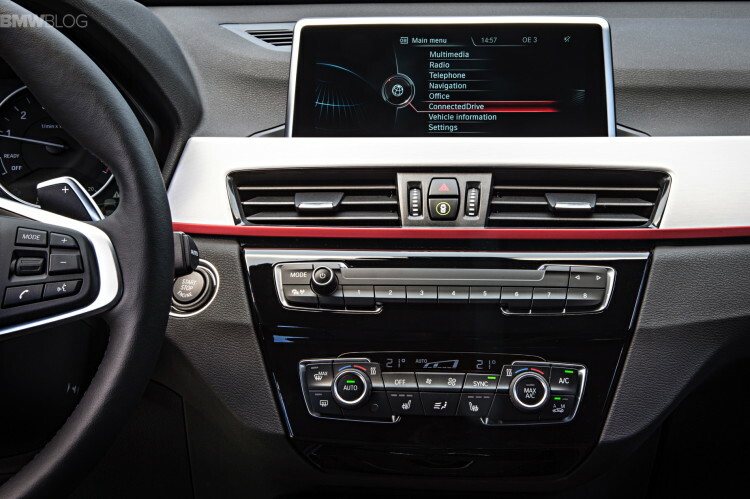 One other positive development in the new X1 is noted when we focus on the materials used in the interior, especially on the instrument panel surface which had a cheap and hard plastic touch and now features a much more convincing and soft touch finish, like the rest of the dashboard, which is nearly identical to its Active Tourer brother. Then there is the familiar 6.5-inch color display in the center, which is controlled by the familiar iDrive command located between the front seats and, next to it, the Driving Experience Control buttons to choose from one of three driving profiles (Comfort, Sport and EcoPro) which, as always, affects throttle response, steering weight, response and shifting points of the automatic gearbox as well as the suspension tuning (when the X1 is specified with the optional DCC system). 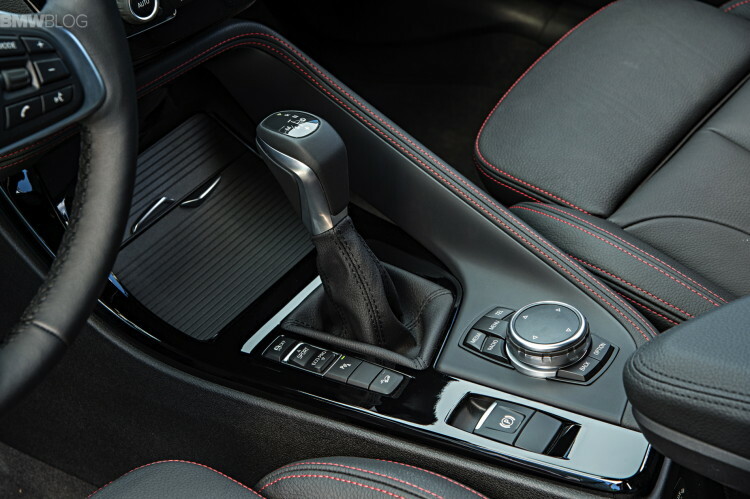 The system however features a first as it is able to detect fast steering inputs and automatically switch to Sport mode. The 2016 X1 features a new generation of the all-wheel drive system which is faster and smoother than before. 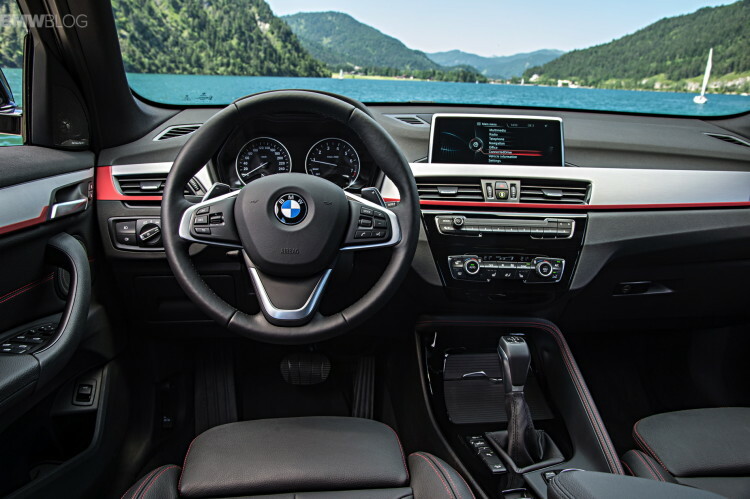 EcoPro mode helps reducing fuel consumption by disconnecting the engine from the transmission when the driver lifts the throttle pedal at cruising speeds between 50 and 160 km/h, meaning that in such circumstances, the X1 moves by its own inertia. Along with improved aerodynamics (Cx of 0.29 – the previous was 0.33 – better than its rivals Audi Q3 or Mercedes GLA), this fuel saving program is key to achieve an average consumption of 6.4 l/100 km in the tested version we tested, the xDrive 25i. It will be interesting to observe customer reaction to the 3-cylinder engine offer, sDrive 18i (136 hp), which can be mated to a manual 6-speed gearbox or a 6-speed automatic counterpart (different to the 4 cylinder engines which are always coupled to 8-speed automatic or 6 speed manual transmissions. The generation change is also reflected in the information projected onto the windshield (Head-up display) where the driver may have a direct view of data relevant to its primary function. In addition, the new X1 can be equipped with various driving aid systems included in the Driving Assistant Plus system, such as active cruise control with Stop & Go function, lane departure warning, traffic retention assist, dangerous approach warning to the vehicle in front and pedestrian alert with braking function in urban traffic. 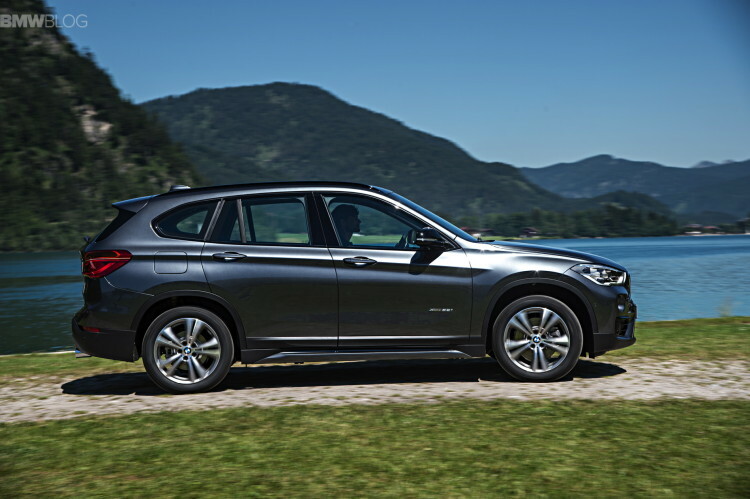 The 2016 X1 features a new generation of the all-wheel drive system which is faster and smoother than before. Under normal driving conditions torque is transmitted only to the front wheels but when wheel spin is detected power can be 100% shifted to the rear wheels, with the aid of an electro-hydraulic pump and within fractions of a second, without the driver noticing it. 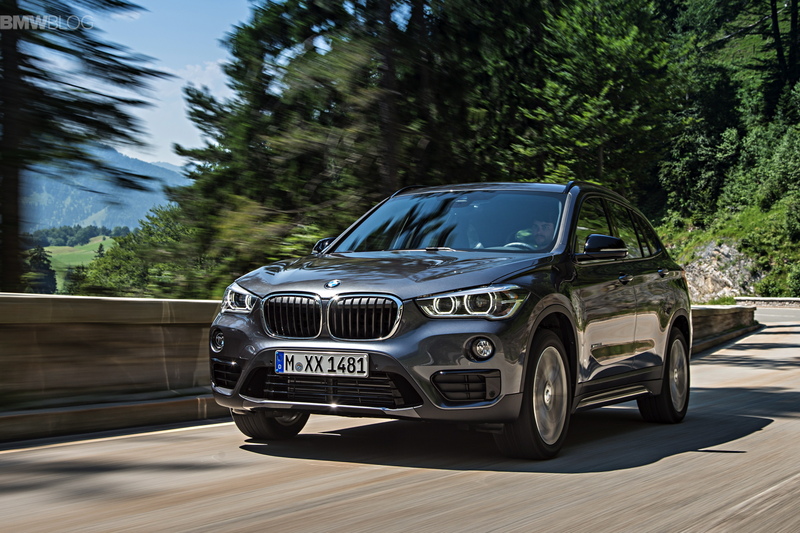 Very useful in off-road driving, the stability control system in combination with xDrive also includes assistance functions when driving downhill, which is activated by simply pressing a key. Users who prefer to opt for the 4×4 X1 (xDrive) may be interested to know that the ground clearance is 1 cm higher than on the front wheel driven version (sDrive), 1.5 cm higher compared to the Active Tourer and 5 cm higher than the Mini Countryman with which the X1 now shares the rolling hardware. However, much of the X1 which will be on U.S. roads as of October will never really leave the asphalt where we mostly drove the 25i, between Germany and Austria. The engine response is full of stamina just above idle speed (the maximum torque is available under the right foot as early as 1250 rpm) which does wonders for the accelerations at any engine or vehicle speed. As in other applications, the 2.0-liter petrol engine seems to be in its element when partnering with the fast and sharp 8-speed automatic transmission and both the precise and communicative steering and the competent brakes contribute to the truly convincing overall dynamics of the car. 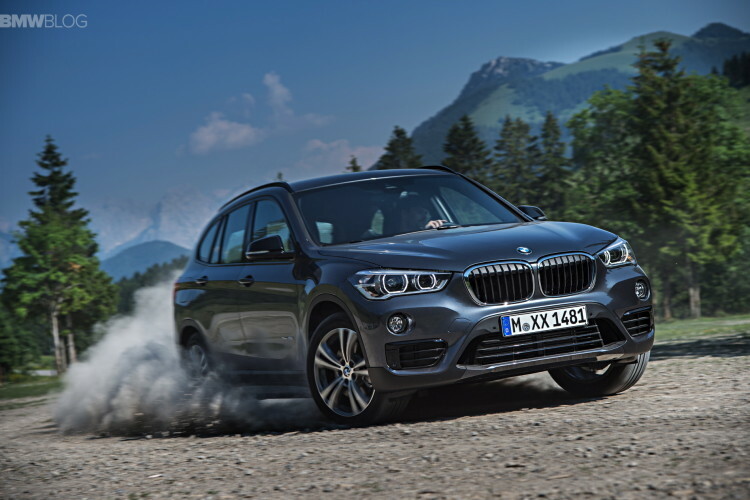 Even if the body roll is more sensible than we would have liked when negotiating corners at higher speeds, clearly more than the BMW “standard” as the X1 may show some less pleasant understeer symptoms. The X1 species develops in a positive manner in almost all respects. There is more cabin space and more room to load your bags, safety and comfort have been raised to higher levels, fuel consumption was cut and interior quality increased. 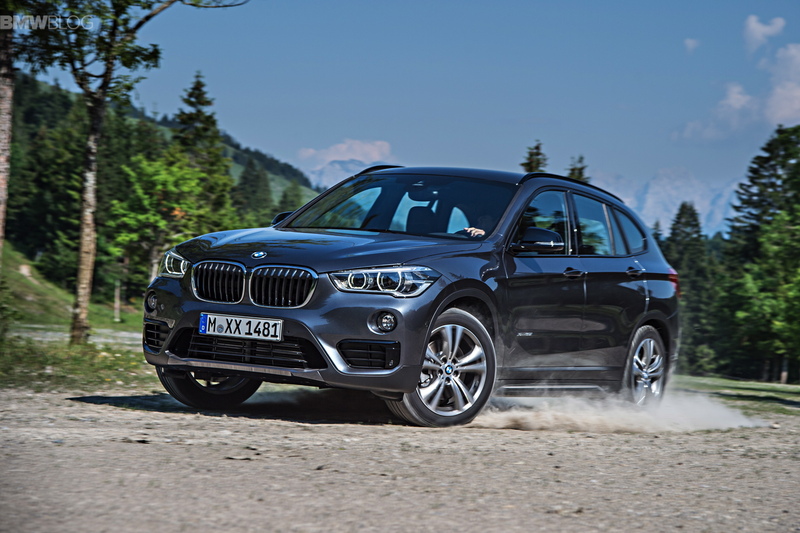 The only drawback is that the combination of its front-wheel drive (or part-time 4×4) with a higher center of gravity, increased overall body weight and higher ground clearance the new X1 is less competent than the brand´s standard when going through corners at higher speeds.